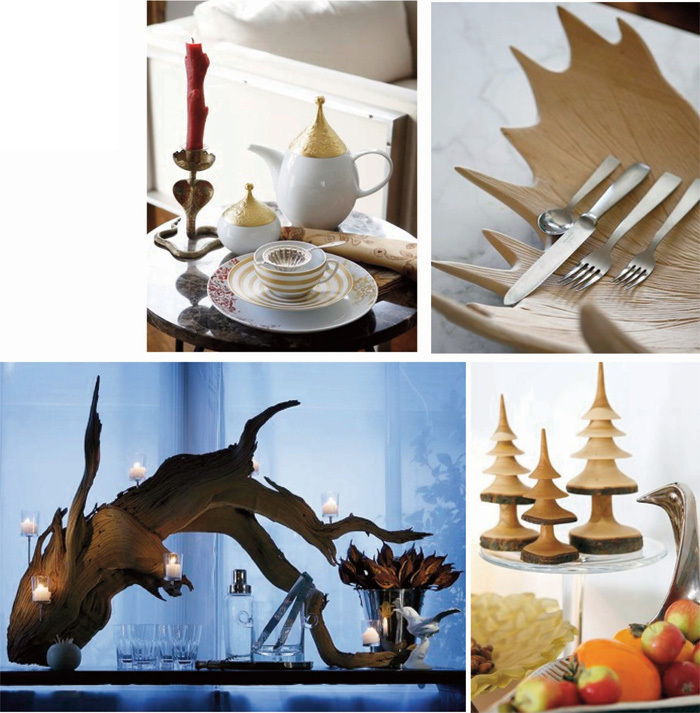 LA Times asked me to style a spread of some of my favorite tabletop items for holiday entertaining a few years ago. I used fine china from Table Art in LA with sterling silver flatware and vintage barware from d. zelen. The candelabra is one I created using a sandblasted mesquite root and votives.